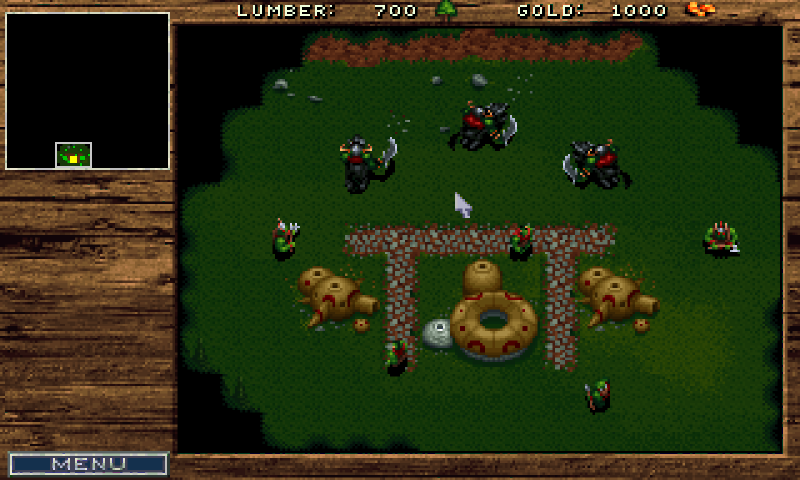 Warcraft: Orcs & Humans is a real-time strategy game (RTS), developed by Blizzard Entertainment and published by Blizzard and Interplay Entertainment. 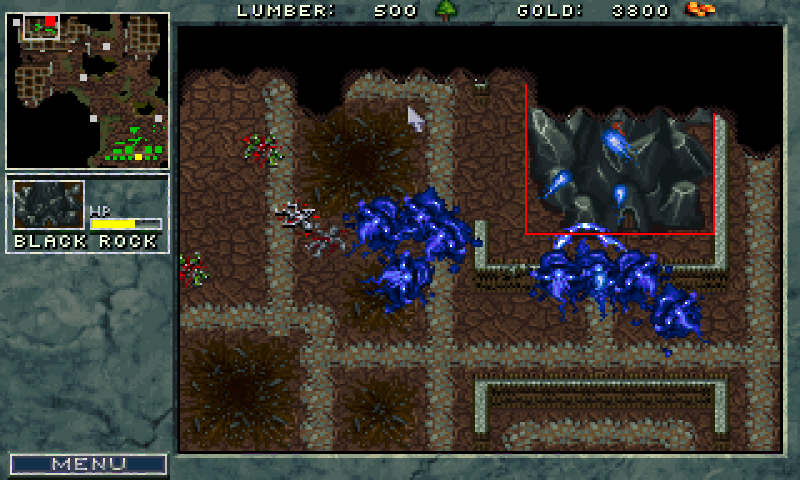 The MS-DOS version was released in 1994 and the Macintosh version in 1996. This is a port of the game's DOS executable for Pandora (using static recompilation/binary translation). 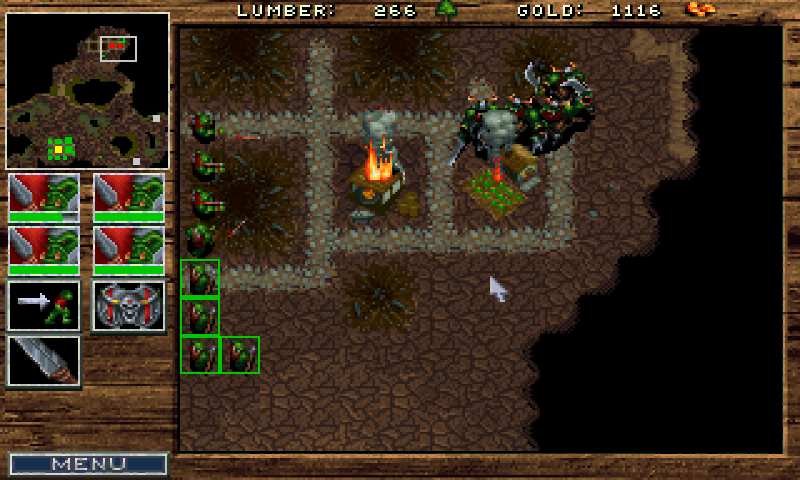 Original DOS Warcraft version 1.21 is required for playing (Floppy or CD version). Read the Readme file for instructions (either in the Documentation or when running the game). 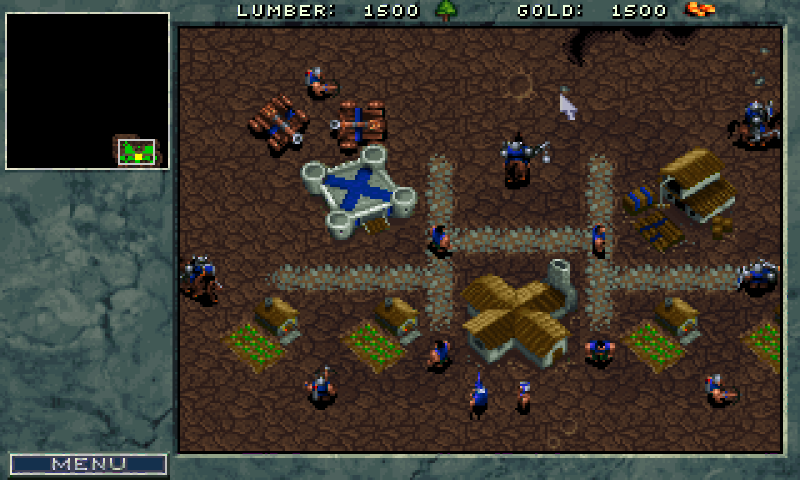 This game is well done and was a pleasure to search for. Very nice game. Plays and looks nicely. I am using touchscreen controls. I can't test it, but if mouse works in the GUI then it should work in the game. If not, then try changing "Use_Alternative_SDL=yes" to "Use_Alternative_SDL=no" in your config file.